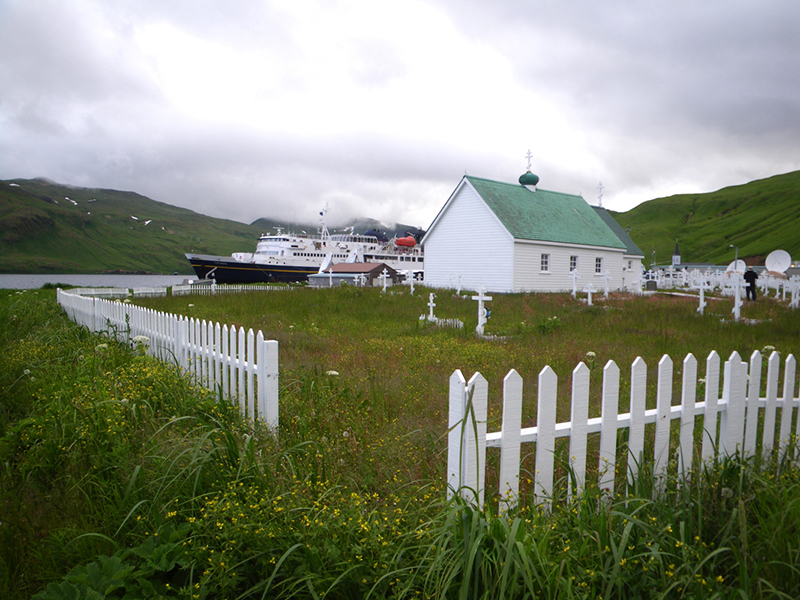 Since 1964, the ferry MV Tustumena has connected mainland Alaska with otherwise isolated communities in the Aleutian Islands and Kodiak Island. The “Tusty” is now tentatively scheduled to be retired and replaced by the 2019 season, after more than 50 years of service. Now is the time to collect memories of this storied vessel. The Trusty Tusty, as she is known, is beloved by the people who have served on her and by those whom she has served. In 2018, with your help, the MV Tustumena Oral History Project will collect the stories of the Tustumena—of her passengers, crew, and others served by her—and archive them permanently with the Oral History Project at the University of Alaska Fairbanks (UAF). Do you have a story of the Tusty to share? Please contact us at info@tustystoryproject.org. 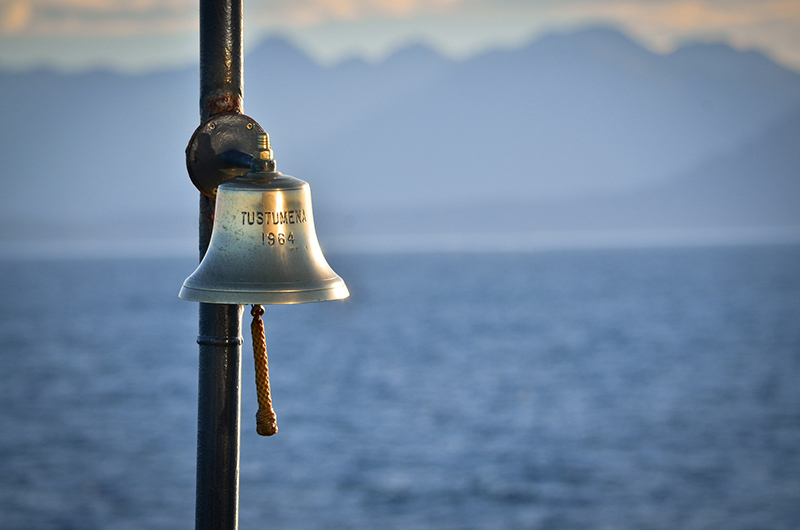 Read about the latest (February 2019) budget challenge to the MV Tustumena and the Alaska Marine Highway System HERE. And read the Kenai Peninsulas station KBBIs story on the project, as well as that by Kodiak Islands KMXT (both August 2018). Organizational Sponsors of the MV Tustumena Oral History Project are the Alaska Marine Highway System and the Oral History Project at the UAF Oral History Project. 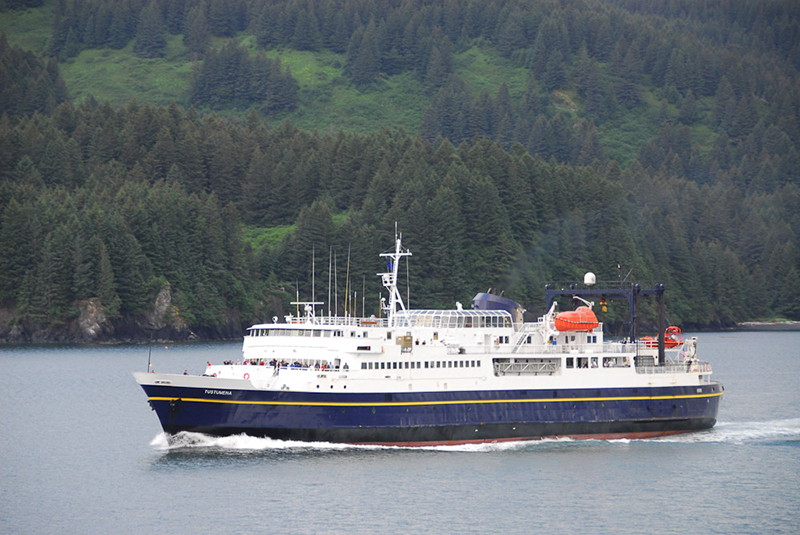 The MV Tustumena provides ferry service to thirteen communities from the Kenai Peninsula along the Alaska Peninsula and on to the Aleutian Islands. The project will use modern, professional recording gear and techniques to achieve the best possible audio. Following the recording sessions, editing of the audio will be required in order to cut non-interview parts and to remove or reduce extraneous sounds. The entire package of data we collect, including all the stories, photos, video, and research, will be given to each port-of-call community for their library and schools, and individuals who speak with us will be given their own copies. Fifty years is a long time in Alaska’s modern history, yet the UAF’s Oral History Program has only one file related to the stories from the Tustumena. Since we will be there at the end of the Tustumena’s Southwest Alaska career, we hope to capture the heightened emotion of this farewell to the one vessel who has served the same communities from her first visit until her retirement. From the artsy “end of the road” communities of Homer and Seldovia, to the Aleut/Unangan communities, to Sand Point’s fishing fleet, and Unalaska with its massive pollock and cod fishing and processing industry, and including adventurous tourists, the Tustumena’s journey has embraced the wide range of people and cultures. Did you ever meet someone interesting on the ferry? A future spouse? Did anyone get married on the Tusty? Have there been any births on the Tusty? What was the roughest storm or most beautiful you ever experienced while aboard the Tusty? Did you have a significant homecoming thanks to the Tusty? Did you have a significant leave-taking? Does anyone remember the first time the Tusty came to their town? How did it change your life to have regular ferry service? Were you aboard during a rescue? Were you rescued by the Tusty? What is your favorite part about the Tusty? In the spring of 2017, the Project researched and made contact with possible intervieweespeople with stories related to the Tustumena they would like to tell. In August of 2018, Project team members rode the Tustumena round-trip from Homer to Unalaska/Dutch Harbor, collecting stories in person along the way. In October 2018, the process of editing and transcribing the recordings will start. In addition to audio recordings, there will be some limited photographs and video recordings of places and people in the stories to add to the material the Project will give to the UAF Oral History Program. Interviews will also be transcribed. The project will also record and document the sounds of the MV Tustumena—unique to the ship and its hardware, the environment, and the communities. Having even the faintest of understanding of what a family the AMHS is and, within that, what a family the Tustumena crews are, we are deeply saddened by what a loss Capt. Mike’s passing is to all. Our heartfelt sympathy to all his family, friends, and AMHS family. Do you have a Tusty Story? Send us a message!